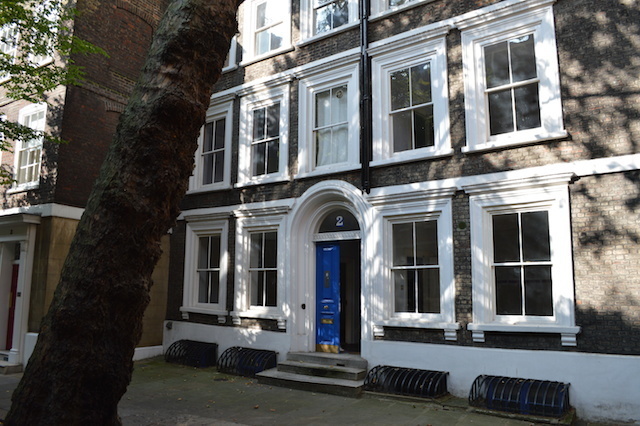 If you've ever explored the network of alleys and narrow streets between Blackfriars and St Paul's, you might have stumbled across Narnian references to a wardrobe. The church of St Andrew by the Wardrobe is the most obvious, along with neighbouring Wardrobe Terrace. 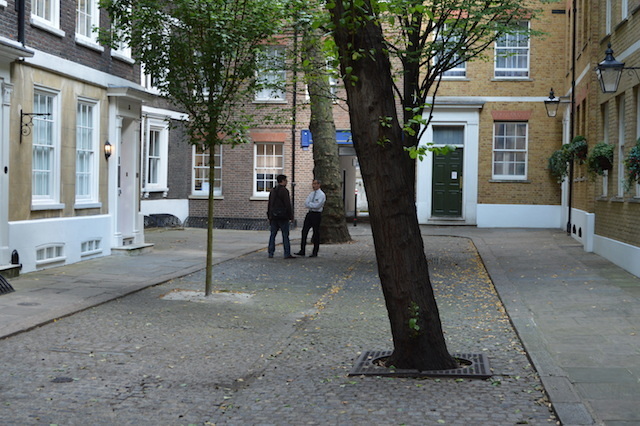 Just north of these you'll find Wardrobe Place, a compact courtyard. 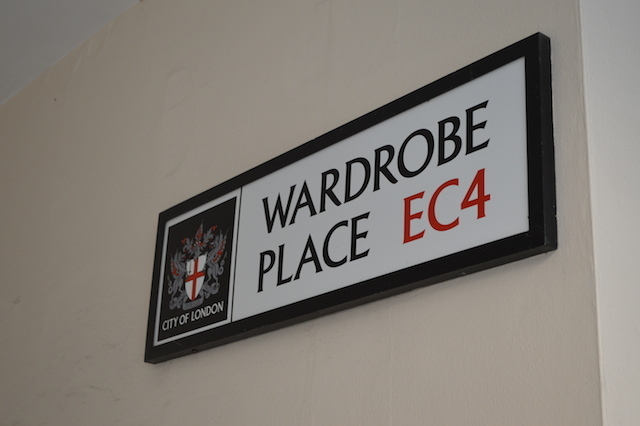 The curious name dates back to the medieval period, when the royal Wardrobe moved from the Tower to this area in 1381. Rather than an item of mahogany bedroom furniture, the Wardrobe was more like a department of the royal household, charged with overseeing the King's robes, armour and garments. It also served as a treasure store. 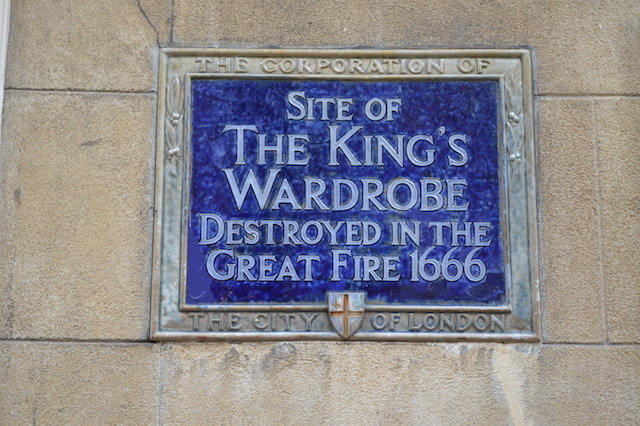 As attested by a plaque in Wardrobe Place, however, the whole facility burned down in the Great Fire of London. In the 18th and 19th century, the enclave formed part of Doctors' Commons, a sort of additional 'inn of court' for lawyer types. It was still considered part of the Commons into the 20th century. Newspaper adverts of this time enquiring "Do You Suffer From Wind" implore flatulent Londoners to pay a visit to Dr CK Cameron, of Number 1 Wardrobe Place. Today, Wardrobe Place is a tranquil, little visited spot that doesn't smell remotely of farts. It is a courtyard to nowhere, surrounded by terraces of various antiquity and canopied by a semi-mature plane tree. There are several reasons why you might visit. Architecture fans will admire the Georgian terrace on the western side of the court, among the oldest surviving buildings in the City, and erected not long after the Great Fire. Meanwhile, those seeking accommodation in the Square Mile will find serviced apartments. The court holds a further secret, off limits to casual visitors. One of the Georgian buildings, number 2, contains a pair of 17th century wall paintings applied straight onto the chimney breasts. These were only discovered in the 1980s, and were recently boarded up, awaiting conservation. Such art is extremely rare outside of grand country mansions, and probably unique in the Square Mile. Peruse these photos to learn more of the courtyard's secrets. With thanks to BridgeStreet Global Hospitality for the tour. 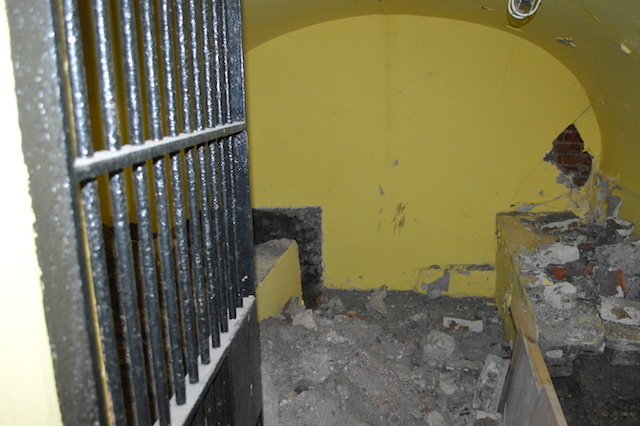 The basement of number 2 contains a strong room with iron bars and a sturdy door. It's purpose is unknown. 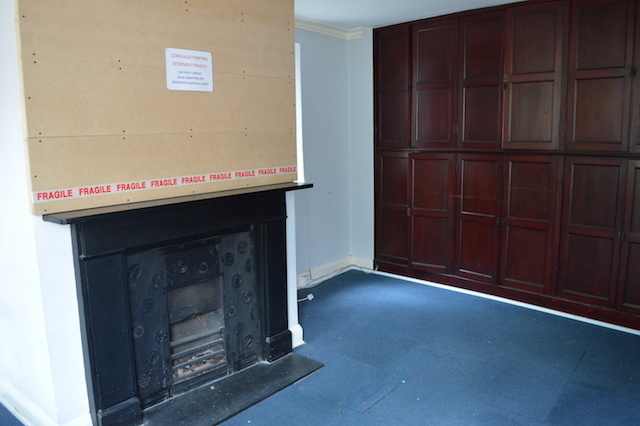 Number 2 Wardrobe Place contains a pair of rooms whose chimney breasts have been covered up. Behind lie 17th century frescos awaiting preservation. 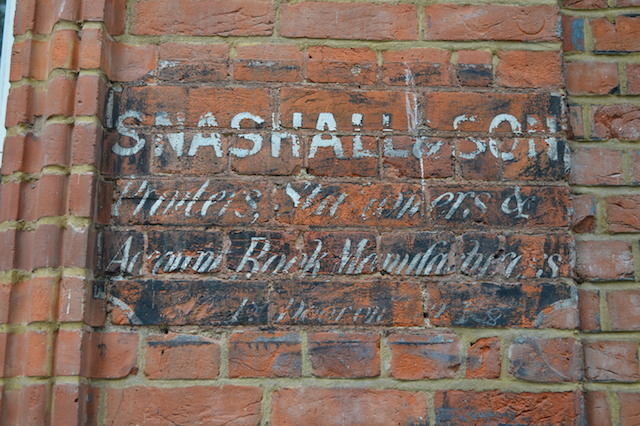 A ghost sign at the far end of Wardrobe Place. 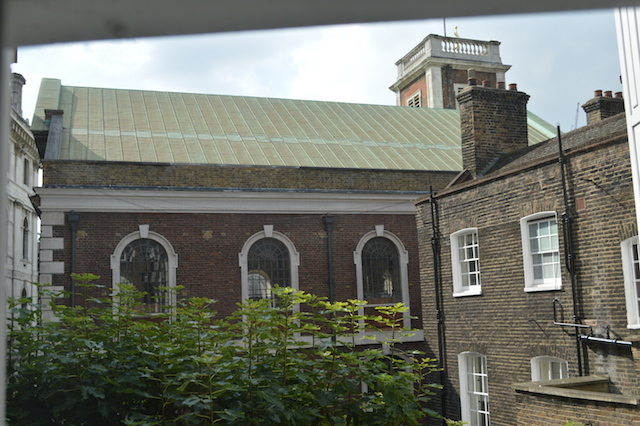 St Andrew by the Wardrobe, as glimpsed from the Wardrobe Place serviced apartments. 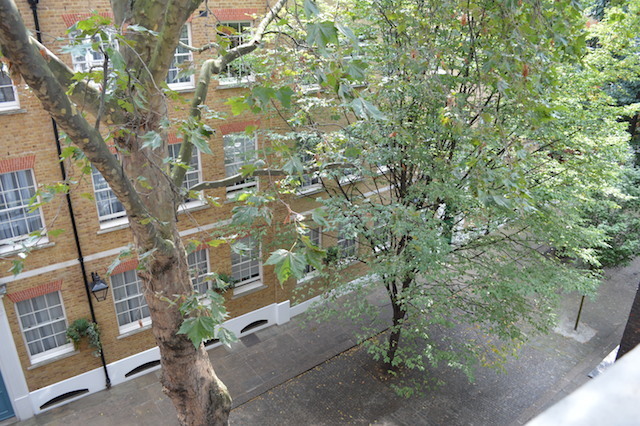 Looking down on Wardrobe Place. 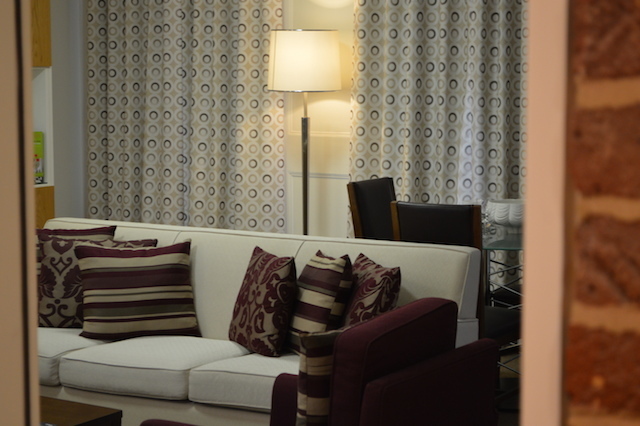 Inside one of the serviced apartments.